Here lies a case when Nike needs to just shut up and take my money! 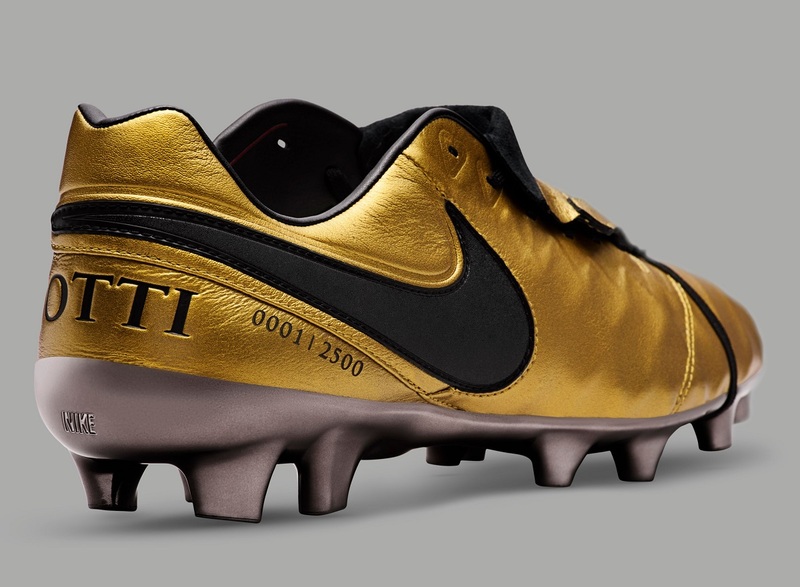 In order to honor the legend that is Francesco Totti and his 25 year reign at AS Roma, Nike has released a limited edition boot called Tiempo Totti X Roma. 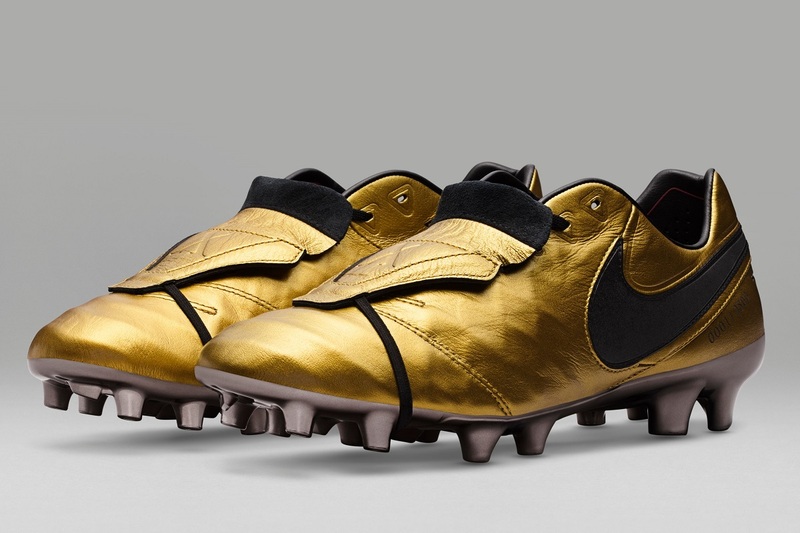 Limited to just 2,500 pairs – each pair numbered on the heel – this is a boot that will definitely sell out fast. 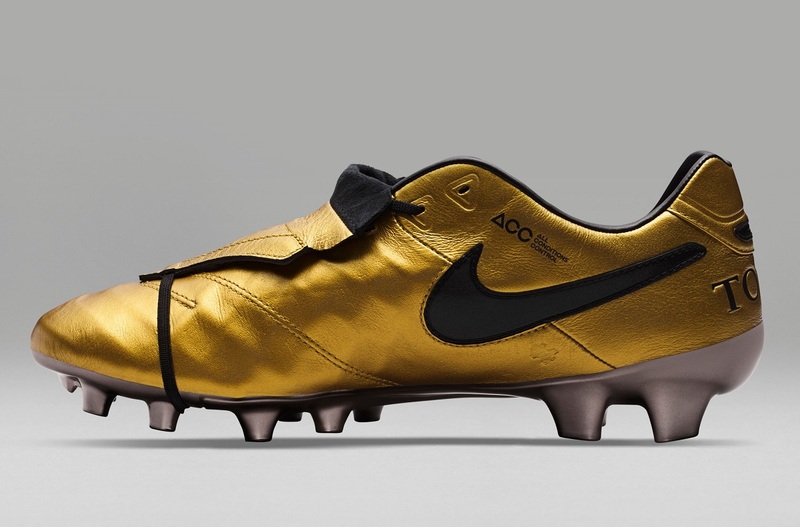 Nike compliment a spectacular gold leather upper with some subtle black detailing on the tongue, collar and with a prominent Totti text emblazon on the heel. Complimenting Totti’s own personal styling, the boots feature a large over-flap tongue with strap to secure down across the laces. 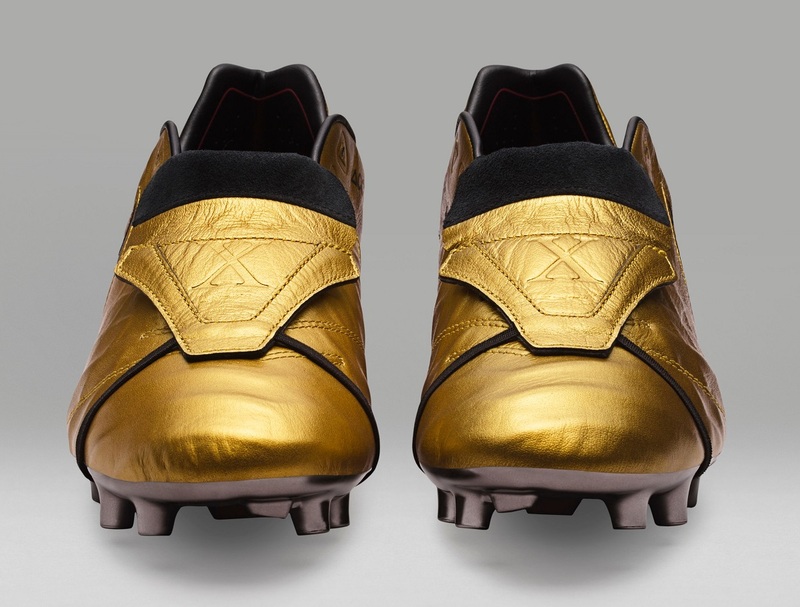 This is a boot feature that has become synonymous with the Italian talisman through his career. The overall appearance of the boot is spectacular and already sits as a front runner for best boot design of 2017! 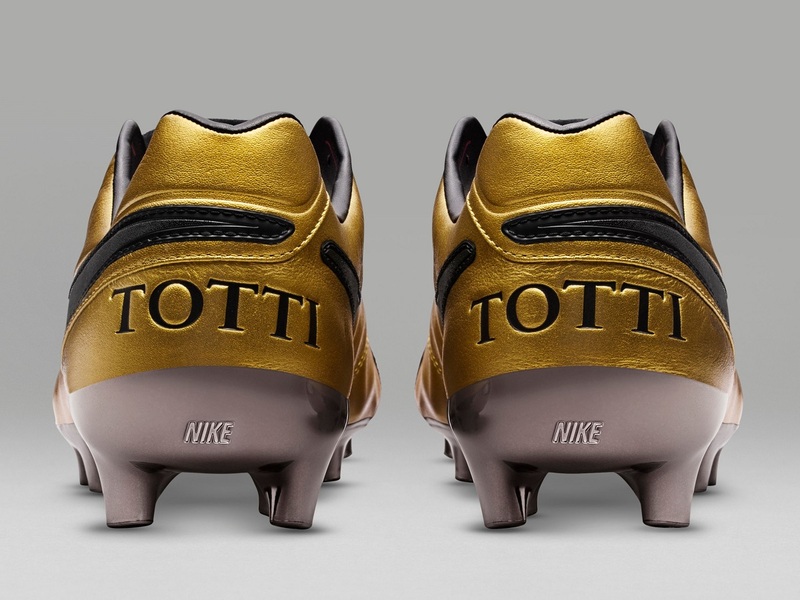 Totti is set to debut his signature Tiempo Totti X Roma boots in the upcoming Derby della Capitale vs Lazio this Sunday, April 30th. Limited Pairs are available right now at soccer.com! Do you know if they will be available to buy in NYC? Thanks!